On August 28th the Grand Opening of the new site in Weihai China took place. Present during the ceremony were local government representatives incl. the Vice Mayor of Weihai, customers, suppliers, local employees and the global management team from Jupiter Bach. 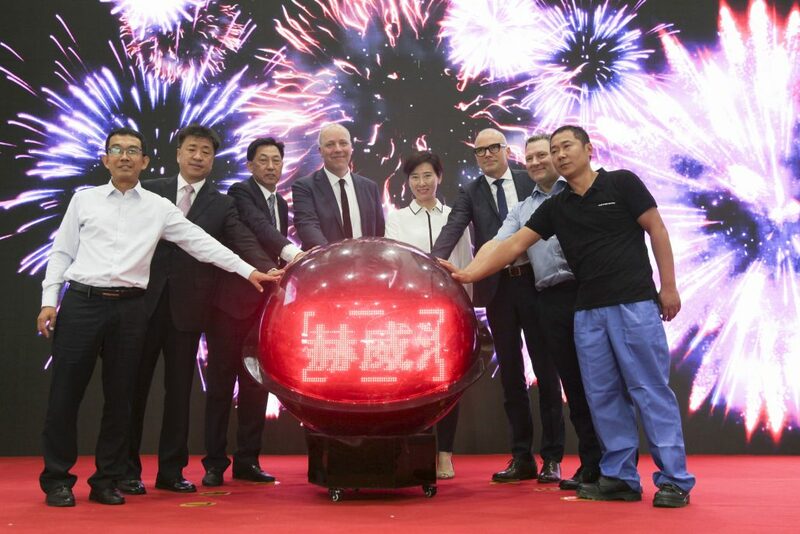 After speeches by WEI General Manager Leo Dong and CEO Jens Kristensen, the new factory was officially inaugurated by “ touching ball” which is a Chinese tradition when opening new factories. 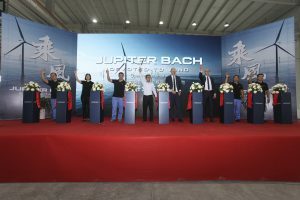 After the official ceremony the Jupiter Bach team did the ribbon cutting lead by WEI employees who have been with the company for more than 10 years. This is the 4th Jupiter Bach Grand Opening in 2 years -and a precursor to one in spring of 2019. Jupiter Bach started manufacturing in Weihai during 2008. The site started out in with 2700m2 and only 8 employees. One year later the site became ISO9000 certified and in 2013 was ISO14000/OHSA18500 certified. In 2016 the plant had expanded to 4500 m2 and 2017 added the second building of 4100 m2 for manufacturing of offshore products. With the new building, the two locations have now been, not alone consolidated, but also expanded to 11600 m2 -and the 8 employees in which Jupiter Bach WEI started out with is now more than 100. All this is done to support Jupiter Bach’s growth strategy. The factory is located strategically in China serving both international customers who require export from China to overseas markets as well as local Chinese OEM’s. The factory has now begun partial operation and will be 100% operational early October when the production of offshore nacelles and spinners will be transferred. Jupiter Bach is the world’s largest wind turbine nacelle and spinner manufacturer. To learn more about our products click here.